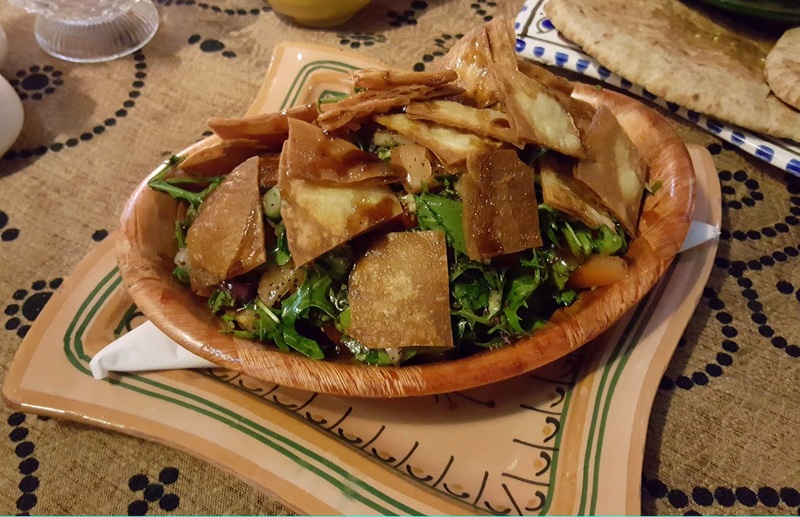 Stopped in off Penrose Quay on a bitingly cold March night walked through the portals of The Sultan and landed on the balmy coast of North Africa, a warm welcome and a treasure trove of exotic dishes available to us at Taoufik Hammami's restaurant. 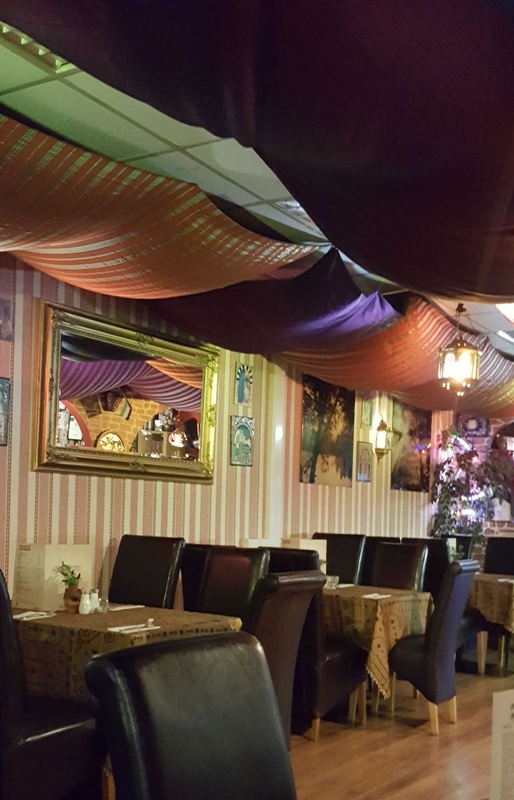 On the way in, we pass the Shisha Lounge, which doubles as reception and waiting area, complete with traditional pipes and a display of herbs and aromatic spices that are used in the cooking. Under a tent-like ceiling, with long lengths of colourful material hanging loosely overhead, African music playing, the cuisine of that long coast, particularly those of Morocco and the Lebanon, are detailed on the extensive menu. 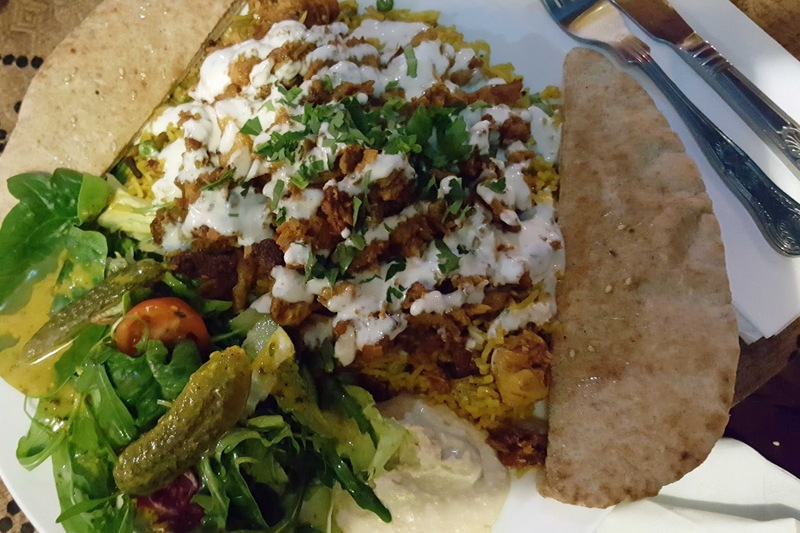 Dishes such as Kaftas, Shish, Kofta, Kebab, Cous Cous, Shawarma, Salads, Baba Ghanoush, and Falafel all feature. Spices are used but more to impart flavour than heat. It takes us a while to make up our minds. I’m looking at everything, the hummus, the vine leafs, the falafel, the sharing Mezzes, the Tabbouleh. In the end though I pick the Fattoush: mixed green salad, tomato, cucumber, parsley, onion, sumac, with pomegranate and oil dressing and cracked bread (7.95). Packed full of flavour and an amazing dressing, took a while to get through it. We would find out that dishes here are very generous indeed. 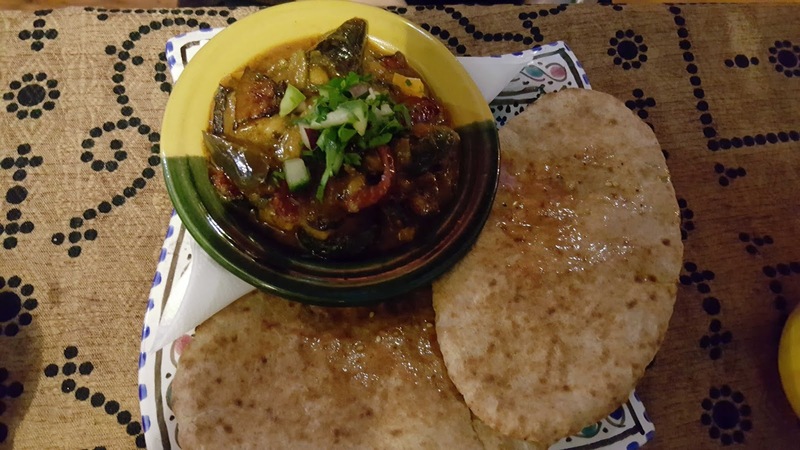 CL picked the Moussaka (a vegetable version), aubergines cooked with chickpeas, tomatoes, mixed peppers and spices, served with pitta bread. Again a generous mix of flavours and textures for 6.95. The Morrocan selection on the mains is based mainly on tagine variations. Authentic Moroccan tagine (16.95) is a slow-cooked stew like dish, served in a traditional Moroccan clay pot, served with a choice of rice, couscous or bread. CL picked the couscous and the bubbling stew did come in the clay dish and was terrific, the couscous (a very generous helping again) served in another dish alongside. 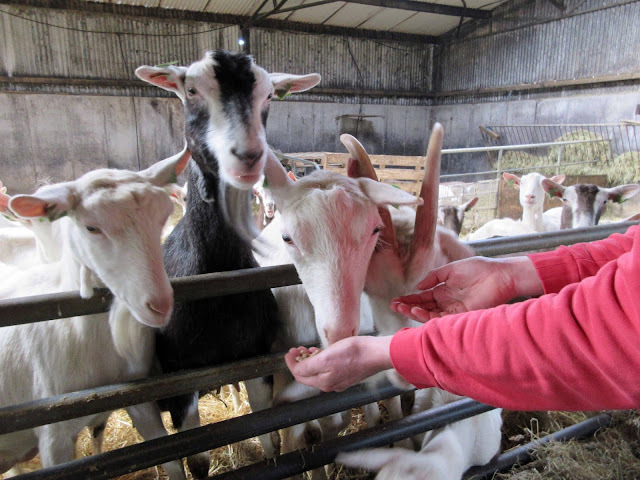 She had a choice of beef or lamb and picked the latter. It was cooked on the bone, Generous and delicious too. Lots of pieces of sweet fruit mixed in here, even a spud in the stew! Meanwhile, I was happily making my way through a Lebanese dish. I had quite a few to choose from: Kafta Lahem (lamb mince), Taouk (chicken breast) and Dawood Basha (spiced meat balls) to choose from. 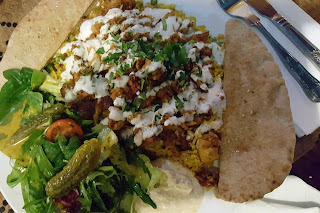 I settled for the Mixed Meat Shawarma (14.95), pieces of chicken and lamb marinated in a lightly spiced garlic and onion mix, grilled on skewers and served with mixed salad, garlic sauce, pitta bread and a choice of rice or chips (rice for me!). Tender, tasty, slightly spiced and overall delicious. Baklava features strongly on the desserts and do watch out for the Almond finger baklava soaked in honey and topped up with Pistachio. If you can’t manage it at the end of eh meal, don't worry they’ll wrap it up for you and you can enjoy it later on at home. And if want more sometime, don't forget they have a shop in McCurtain Street (near the Met) where they also sell Turkish Delight! And you’ll more than likely see a Sultan stall at various markets and festivals.